Dr. Ken Kronhaus - Are Fertile Women More Attractive to Men? 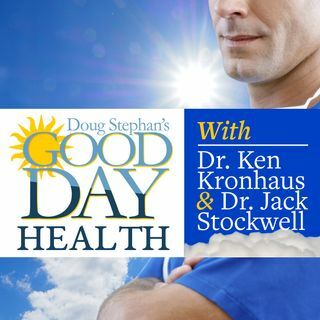 Dr. Ken Kronhaus has news for Host Doug Stephan that 35-minutes of daily non-strenuous exercise can help prevent strokes or make strokes less intense. The FDA has approved a new drug that can prevent migraines. Does breastfeeding make women more fertile? What makes fertile women more attractive to men? Finally, childhood obesity has been linked to some household cleaning products. Plus, lots more information about maintaining your Good Health.